Motorola DROID 4 Review – Is It the Right Smartphone for You? The Motorola DROID used to be a trailblazing phone that revitalized Google’s Android efforts and it really pushed the market for smart phones. However, the last few versions of this phone have been B-listed due to minor upgrades and falling behind the competition it fostered. This has left many people wondering if the Motorola DROID 4 can pull off what the others haven’t: making a suitable phone for all users that is comfortable, powerful and cutting-edge. Has the DROID 4 accomplished this? And is it the right smart phone for you? Read on and find out. While the DROID 4 still has the slide-out keyboard, the design has been largely changed for the Motorola DROID 4. The lip between the phone and the keyboard, along with the metal along the sides has been completely removed. The new DROID 4 design is now completely plastic and flush. Looking directly at the phone, you would never know there was a slide-out keyboard. The plastic on the bottom is also textured, which feels good and keeps the phone from slipping. What’s so good about being a long time customer of Verizon Wireless? Free or very cheap upgrades. DROID 2 is the best Verizon Android phone for the money today ($0.00 for new and only $19.99 for existing customers). You simply won’t find a deal like this anywhere else online or in store. It wasn’t in our top list before because the price was at between $50 and $100. It was still an excellent bargain consider your having to pay $200 upfront in stores. Now for current customers who already 20 months into the current contract you can entitled to almost $200 additional discount and upgrade to the DROID 2 Global for just $19.99 when you extend your current individual or family plan. There is no catch. You would have to sign another 2 year contract anywhere even you go to local stores. The difference is that you are paying up to $200 less when you order online here. We will keep you posted on other best Verizon phone upgrade deals that are coming up. Out of all the smartphones Android is one of my favorite. Every carrier now offer Android phones made by brands by HTC, Motorola, LG, and Samsung. Too many choice in the market today and how do you find the cheapest Android phone for the money, especially most of them are free when you sign a new contract. First, look at the retail price. If the regular retail price before any discount should reflect the true value of the phone. In general, the higher the list price the more advanced the Android phone is – more processing power, bigger screen, and better camera. So if you find a $500 Android smartphone selling for free now it’s probably the cheapest Android phone you will find. Anything that retails more than $500 or offering you free accessories is even better. Just to give you some cheap Android hones that our partner offers – DROID PRO retails at $500 on now on sale for $0.00 with so by getting it with a new service plan you will save $500 instantly. DROID 2 Global retails at $600 and saving is even bigger after exclusive online discount. Want the smartest Android phone? 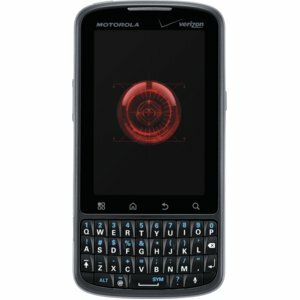 Verizon Wireless just released the new Motorola DROID Pro for sale. Super cheap price online – only $49.99 with a new service plan. 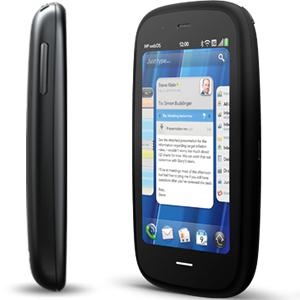 This cheap Motorola DROID PRO features an optimized QWERTY keyboard and large touch screen. You would be able to type a short emails or text message with just one hand. With one of the fastest smartphone processor (1GHZ) inside the DROID PRO, you can stream audios and videos with little interruption. Surfing the web is faster too. There are tons of apps from Android Market for everything – games, productivity, travel, music, entertainment, business, education, and more. You name it Android Market has it. So whether you want to it for business or personal use, you won’t be disappointed! 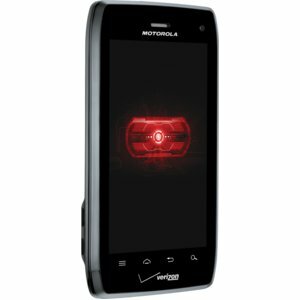 Get the cheap Motorola DROID PRO today while it’s on sale for $49.99! Update: On sale for $0.00. Get yours now while the deal is still good. 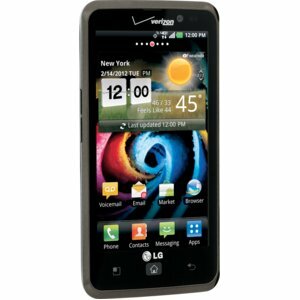 Looking for the cheapest DROID X for Verizon Wireless? We have Motorola DROID X for sale for much lower price than what you will find in stores. How cheap is the price? Sorry, I am not allowed to disclose this online exclusive price here. Click DROID X for sale link to see it yourself. Droid X by Motorola is the most advanced Android smartphone for Verizon Wireless. 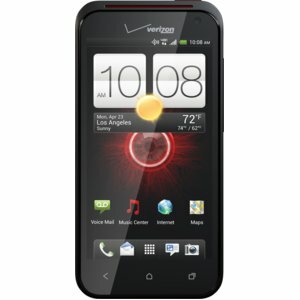 The only comparable Google smartphone is HTC Evo 4G from Sprint, but it’s been out of stock for a while due to such overwhelming demand. So, stop thinking of getting the DROID X, order now before it runs out of stock. Chances are it will be sold out by the weekend. So, what is so great about this Droid X sale? It’s super fast with 1GHz processor, 4.3 inch large display lets you watch high definition videos. You can download thousands of apps and widgets from Android market. High-end 8 megapixel camera, Mobile Hotspot, HTMI output, and many more advanced features only available on the Verizon DROID X. What are you waiting for, get it now!